Ball Lock Kegs vs Pin Lock Kegs – What’s the Difference? The containers we call Ball Lock and Pin Lock Kegs come from the soda industry. Also called Cornelius Kegs, Corny Kegs and Corney Kegs, they were originally intended to store and distribute soda pre-mix. The big soda companies decided on different style containers for their pre-mix. Pepsi landed on the Ball Lock style while Coke uses the Pin Lock style. Homebrewers have since re-purposed these as homebrew beer kegs. First, It’s important to understand both do the same thing with slightly different and dimensions and features. Note: All measurements in this post should be considered approximate. There are different models and manufacturers of kegs. Their sizes are generally about the same, but some kegs and manufacturers vary slightly. There are several sizes of kegs available including 2.5, 3, 5, 10 and 15 gallons. 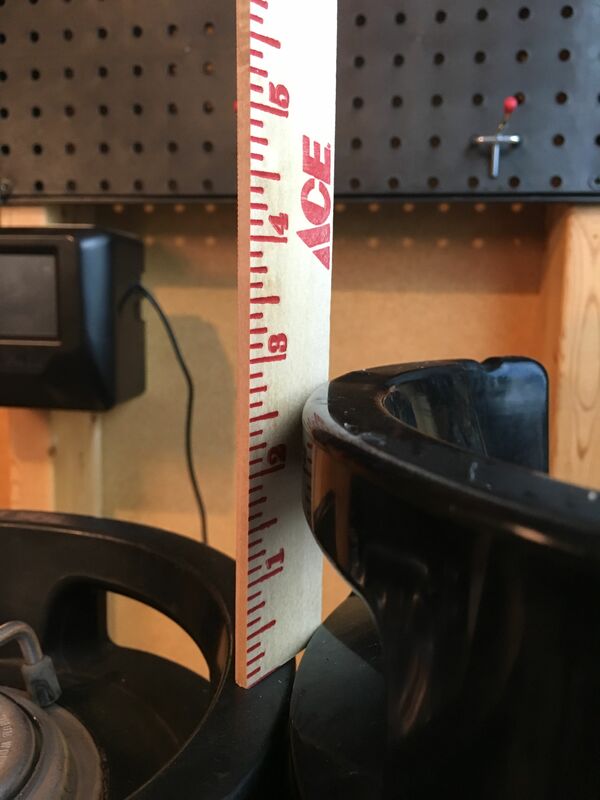 This post focuses on the commonly used 5 gallon size. The first thing you’ll notice is dimensions – Pin Lock Kegs wider than Ball Lock kegs. Pin Lock on left, Ball Lock on Right. Pin Locks are also shorter than Ball Lock Kegs. Ball Lock on Left, Pin Lock on Right. Both of these kegs have a ~5 gallon capacity. 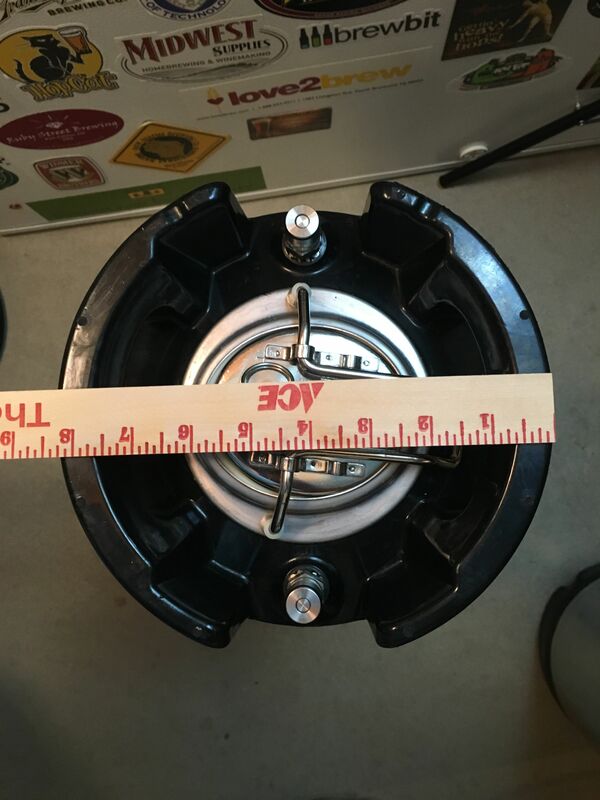 This Ball Lock Keg is just over 8″ in diameter. Official specs for this specific model are 25″ tall and 8.5″ diameter. The Pin Lock Keg is about 9″ in diameter. The official specs for this offering are 22-24″ tall and 9″ diameter. Ball Lock Style Lid. Notice the pull ring. That is the manual PRV. Pin Lock Style Lid. No pull ring. Generally speaking… Both Ball Lock and Pin Lock style lids are the same dimension and are interchangeable. 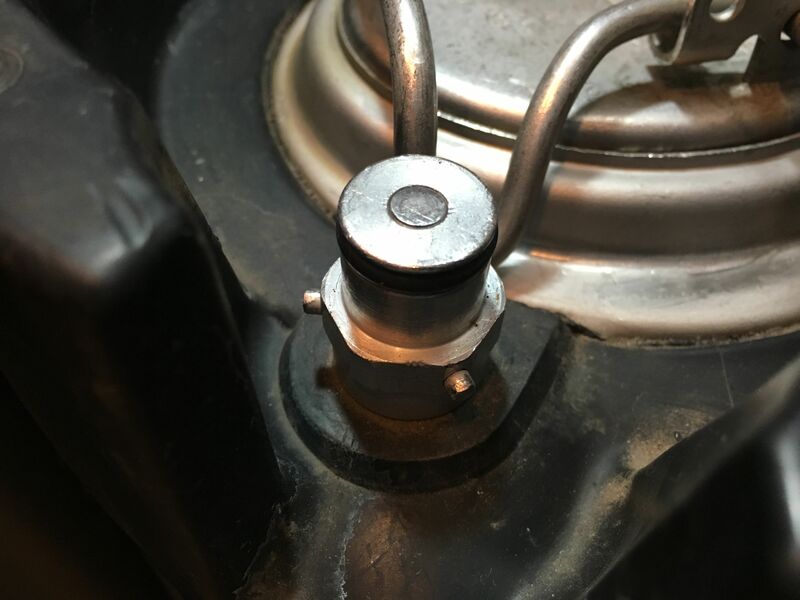 You can use a Ball Lock Lid on a Pin Lock Keg and vice versa. A big difference are the PRV (pressure relief valve) functions between the two styles. Both have automatic safety PRV valves. That is, if the pressure gets too high, both will automatically vent for safety reasons. The difference is in manual PRV functionality. 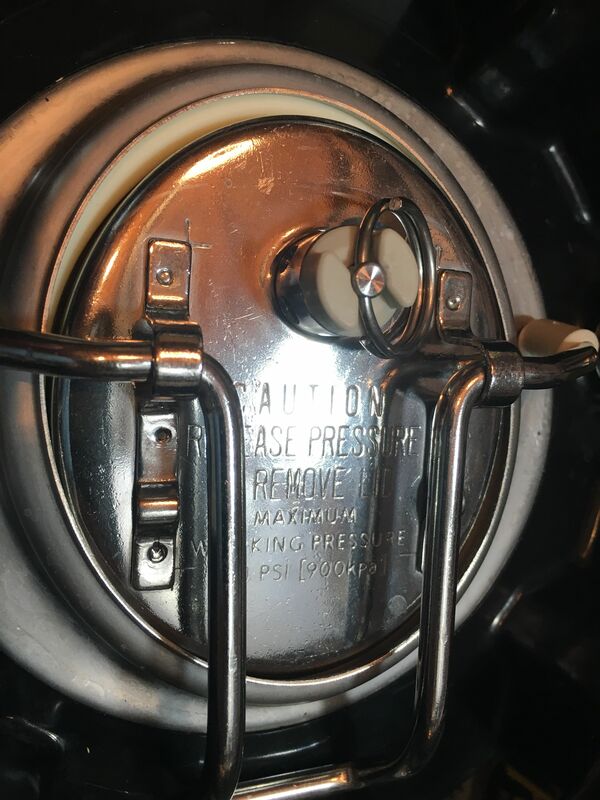 Ball Lock Keg lids have a pull ring that allows you to manually vent the keg as you’d like. You may want to do that for the purpose of removing the keg lid or to vent excess pressure in an attempt to get down to a lower pressure. Having a manual PRV valve is an advantage in my book and on this count Ball Lock Style kegs win. 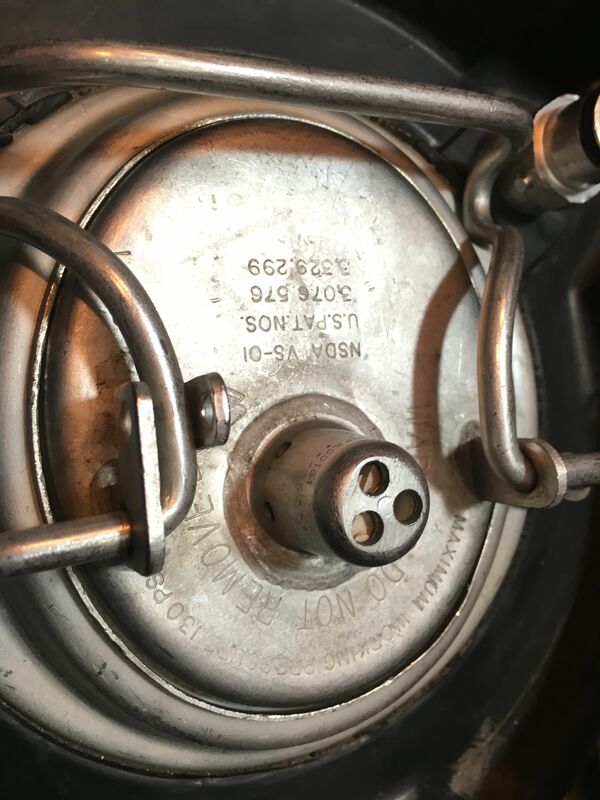 Again, these are general statements, check with the keg’s manufacturer or distributor for specific keg lid dimensions and PRV functionality. Note: There is another less common size of lid/keg called racetrack style. Those are not interchangeable with standard lids. Ball Lock Style Post. Notches on the lower part of the post are an indication that this is an IN/Gas Post. OUT/Liquid Posts do not have these notches. Pin Lock Style Posts. Notice the pins. Pin Lock Style Posts require a special notched socket to tighten and loosen the posts. Ball Lock and Pin Lock Quick Disconnects/QDs. Ball Lock on left, Pin Lock on right. I’m guessing these are where these tanks got their names. The Ball Lock QDs have a ball mechanism in them that causes them to lock into place. Where the Pin Lock QDs have notches that lock into place on the pins that are on each post. Notice that Pin Lock QDs are taller than Ball Lock QDs. Grey = gas/CO2/IN, Black = liquid/beer/OUT. Top down view of Ball and Pin Lock QDs. There are also generally two tubing connection choices. Barbed and MFL. 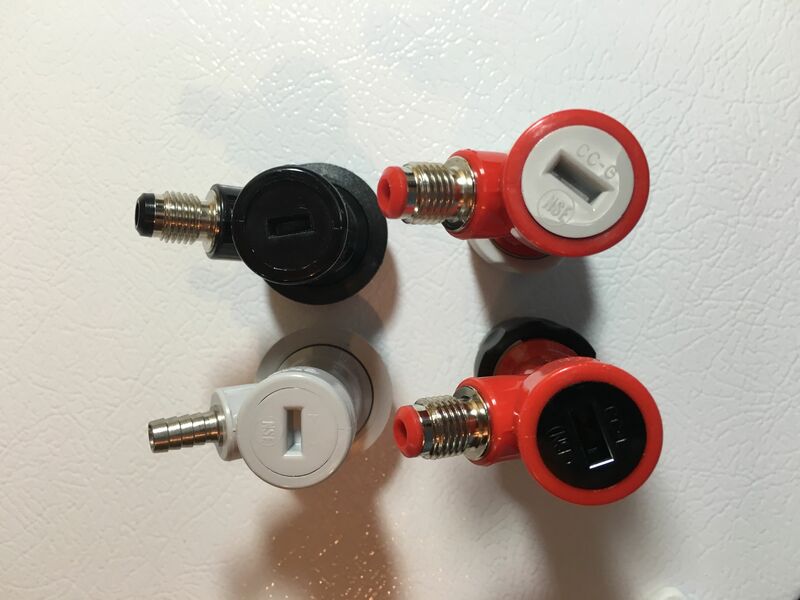 Both are generally 1/4″ Three of these have MFL/Male Flare connections. The bottom left QD has a barb. MFL connections are nice because you can easily remove tubing. Having said that, I prefer barb connections for gas lines. Clamped/barb connections don’t typically loosen up, where flare connections can. It’s easy to notice a leak with a liquid line. If a little beer is leaking, you can tighten up the flare nut. Not so with gas lines. Leaks are invisible. For those I give up a little convenience (Flare) for more security (Barb). 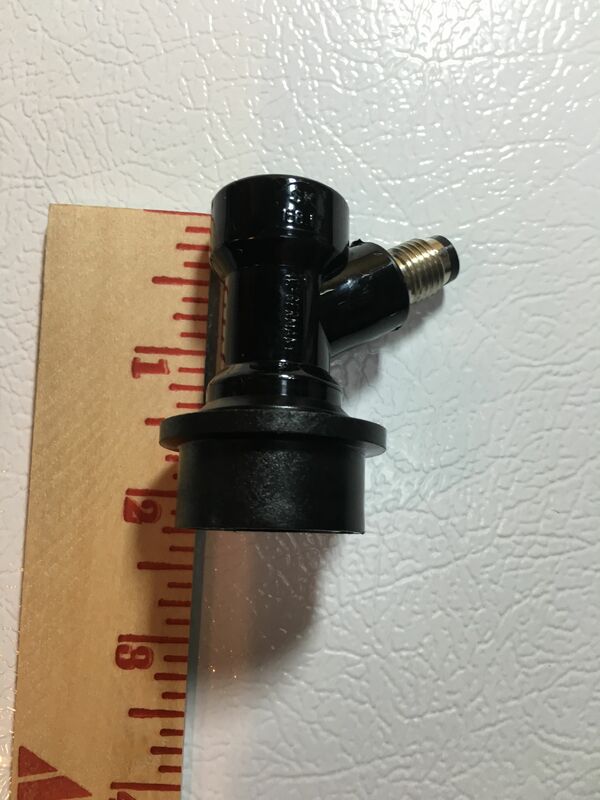 This Ball Lock (CMBecker Brand) QD is approximately 2.25″ tall. This Pin Lock (CMBecker Brand) QD is approximately 3.25″ tall. Pin Lock QDs are taller compared with Ball Lock QDs. Ball Lock and Pin Lock Quick Disconnects/QDs have the same general components. Screw on cap, o-ring, spring, stem and body. Keg Connection has a nice diagram of parts and has all replacement parts available to order. 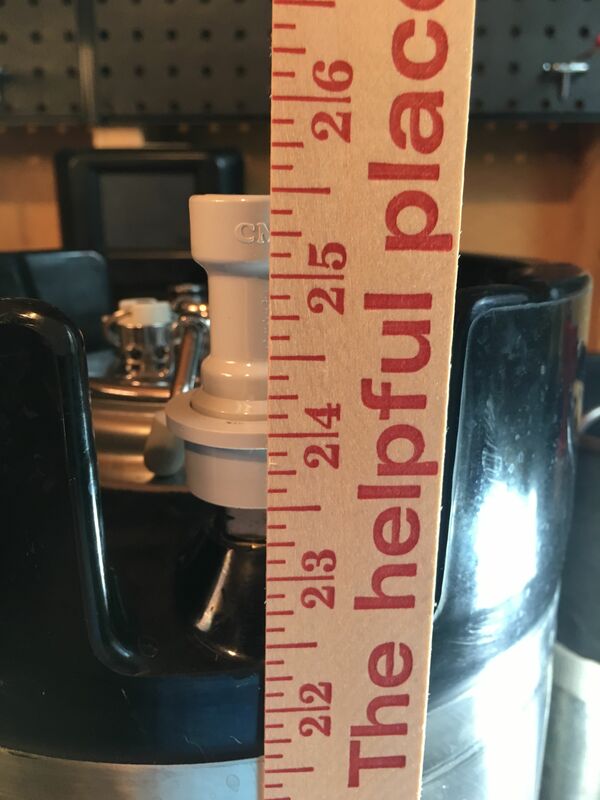 If total height is a concern for your Pin Lock Kegs, a shorter profile QD is available. It is approximately 5/8″ shorter than standard Pin Lock QDs. These are guidelines. Actual size varies based on manufacturer and model. How Many Beers Does a Homebrew Keg Hold? 5 gallons of beer = 640 ounces. That’s just over (53) 12 Ounce Beers or (40) 16 Ounce/Pint Size Beers. 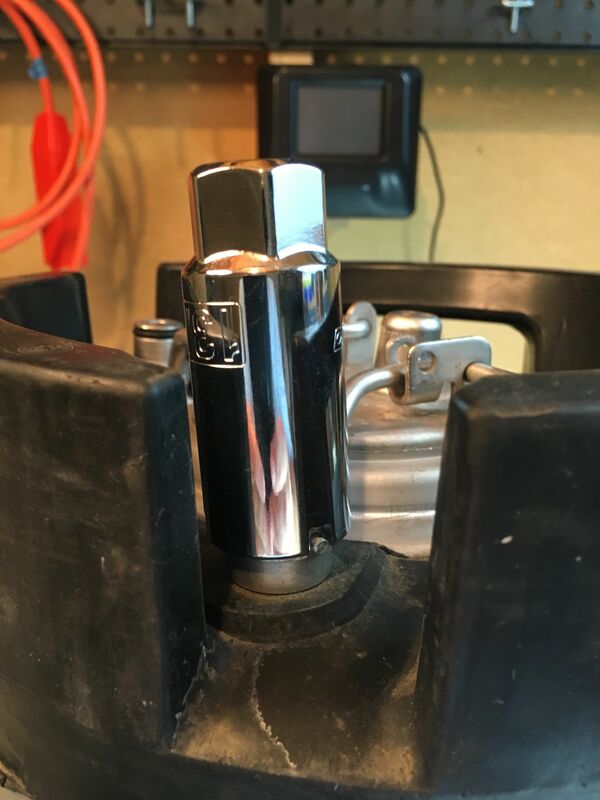 I’m aware of one accessory that, to my knowledge, is available for Ball Lock Kegs, but not available for Pin Lock Kegs… Carbonation Caps [Search Stainless Steel Carbonator Cap on eBay]. There are a few styles available. 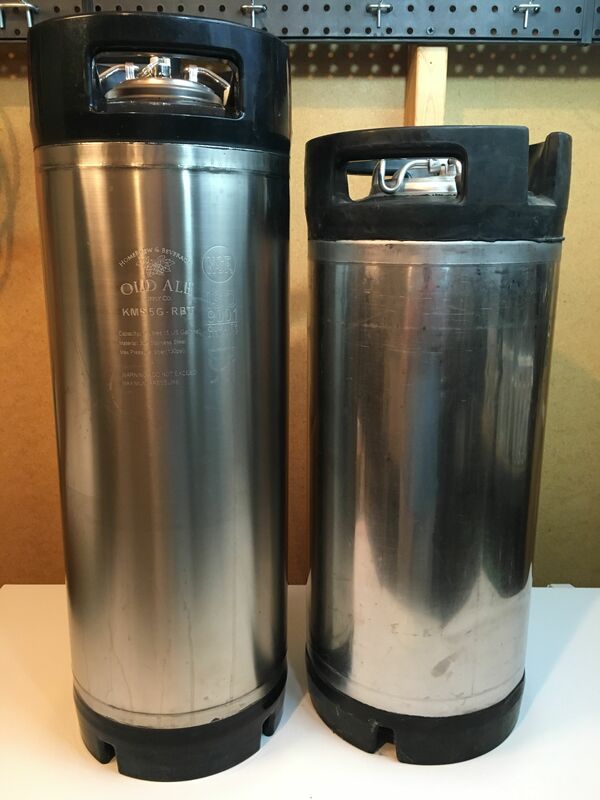 They fit on 1L and 2L size PET Bottles and allow you to pressurize a PET bottle for transporting or preserving the carbonation level of your homebrew (Squeeze out the air in the headspace first to minimize oxygen pickup). You can also use them to quickly carbonate homebrew and fine tune carbonation levels (maybe for competition entry). The only thing that’s similar that would work with a Pin Lock Keg is Kent System’s Soda Bottle Cap. 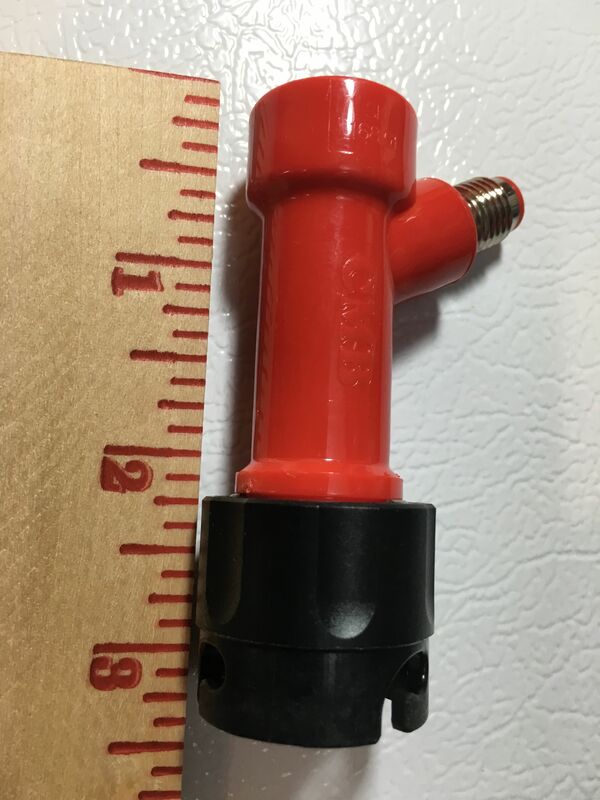 That has it’s own connector that would connect to tubing and in turn connect to a Ball Lock or Pin Lock QD. 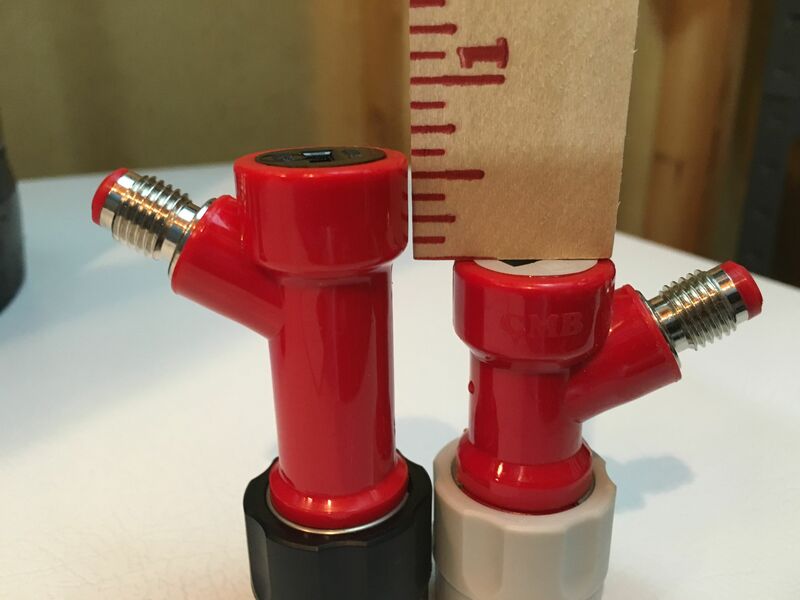 Ball Lock Kegs have two big advantages in my book – Size and manual PRV. Size – Because Ball Locks have a smaller diameter you can get more of them in most refrigerators or freezers. I can get 4 Ball Locks in my Keezer, but only 3 Pin Locks. 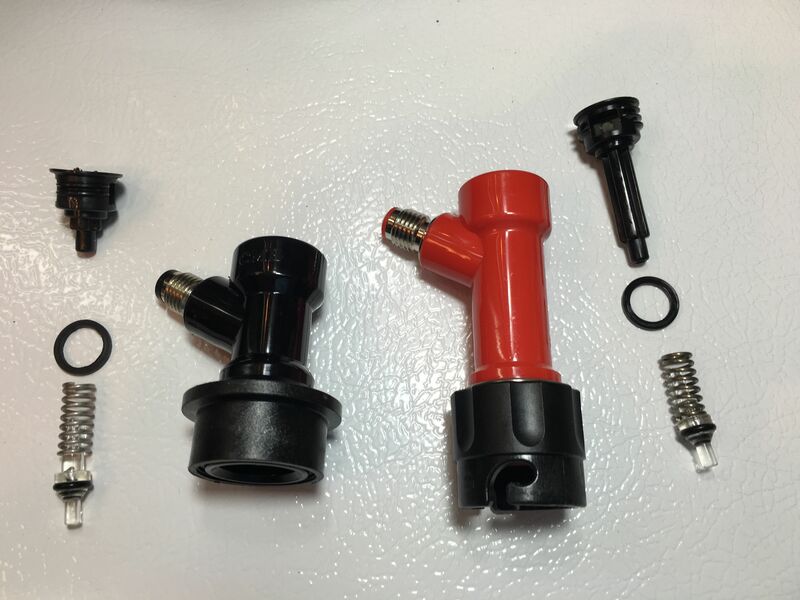 Manual PRV – Ball Locks generally feature manual PRV valves which make it easier to vent kegs. A work around for pin locks is to get a depressor. 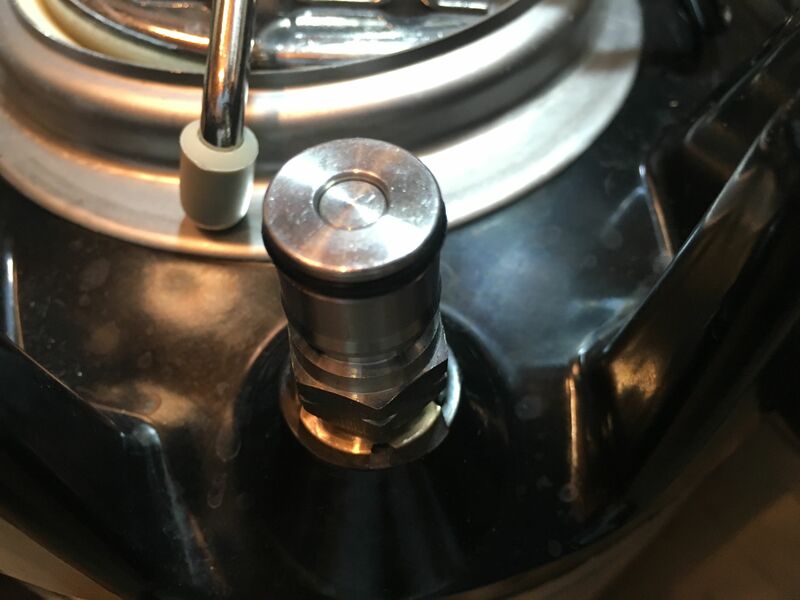 Advantages to Pin Lock Kegs – Cost and possibly size. Cost – Generally speaking, Pin Locks can be had for less than Ball Locks. Size – Size could also be an advantage depending on what you’re using for a kegerator. Maybe the shorter height is better for your setup. For years we’ve been hearing that supplies of used Ball Lock Kegs would be drying up. That just hasn’t happened yet. I think supplies have gotten tighter, but plenty of used Ball Lock Kegs still seem to be available. Meanwhile, makers of new kegs have upped their game as far as quality and price. To the point where new Ball Lock Keg prices can, at times, be similar to used Ball Lock kegs. I think new keg price and quality have helped stave off the disappearance of used kegs. 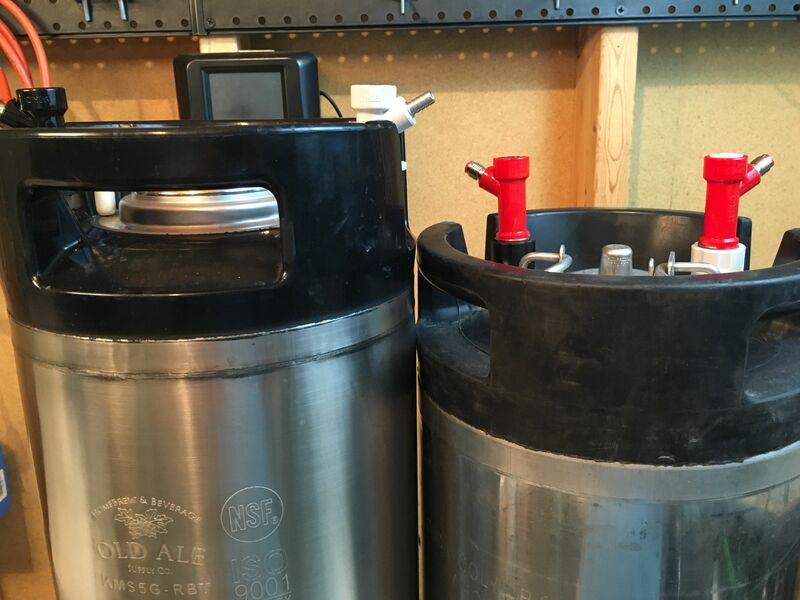 I’m new to Kegging – Which should I choose? I don’t know, for sure. A couple thoughts – 1. If price is your biggest concern, you should probably go with Pin Locks. 2. Size and shape of your kegerator could play a big factor. One style may work better for your setup. 3. 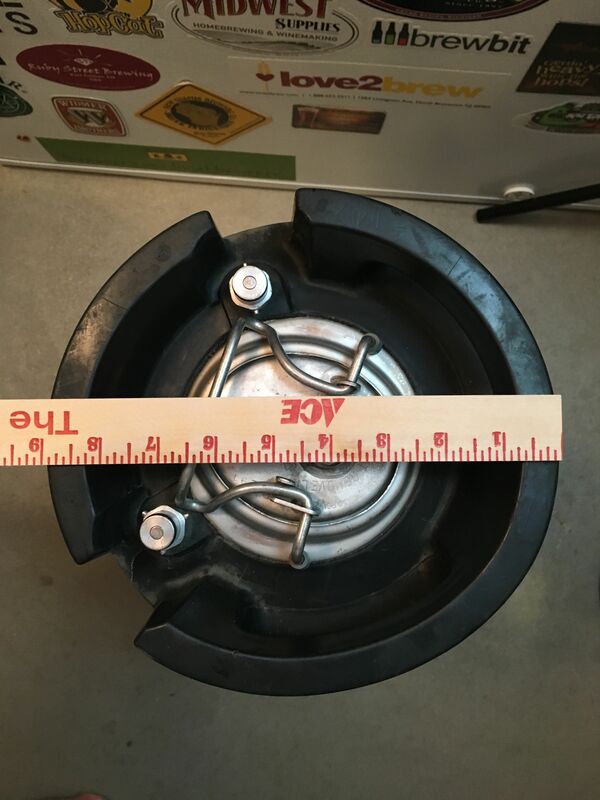 If size and cost are not huge factors, consider Ball Lock kegs. I’m a fan of the post bodies and the typically included manual PRV. Note that you can also pretty easily use both Pin Lock and Ball Lock kegs. It’s as simple as having lines with each style QD or swapping out QDs. Buy from a quality supplier that pressure tests kegs and guarantees kegs will hold pressure. Used kegs can come in a variety of conditions, some with soda residue still in them. 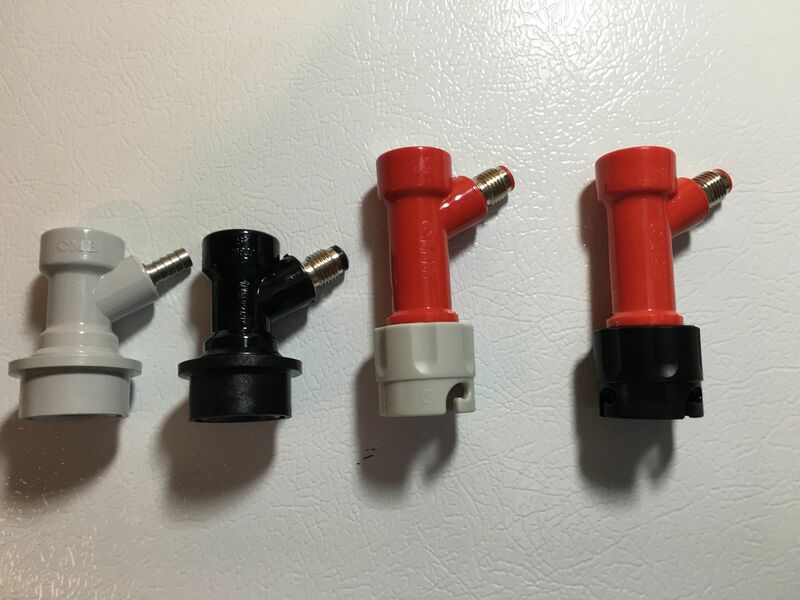 You’ll definitely want to clean and sanitize the kegs, but also plan on installing new o-rings if your seller hasn’t already done so. Even if they are free of cracks, they will have a soda smell that won’t go away with cleaning. 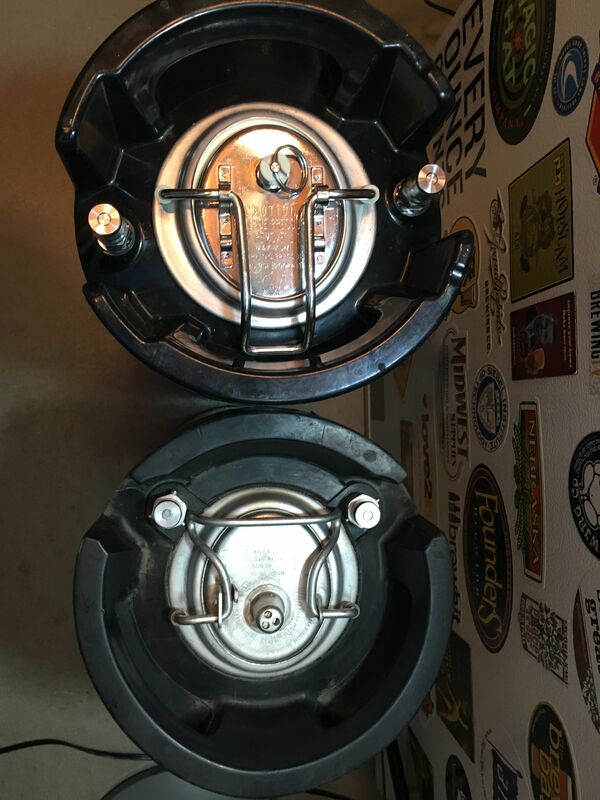 Torpedo Ball Lock Kegs – MoreBeer – 1.5, 2.5 and 5 gallon. Note that the dimensions on these kegs are not the same as standard Ball Lock Kegs. They do feature Ball Lock posts and Ball Lock Style Lids. This entry was posted in Draft, Draft Top Picks, Kegs, Reviews & Top Posts, Top Posts on September 22, 2016 by admin. In Japan Sanyo Cornelius brand cornies and other local repros are all pinlock dimensions but with ball lock connectors. Coke products are still pinlocks though. I’m confused, is this line correct: “Pin Lock on left, Ball Lock on Right.”? Based on what I read and what the photo shows, I believe the pin lock is on the right in the photo, is that correct? If you’re talking about this photo, then the caption is correct the pin lock is on the left and the ball lock is on the right. Pin locks are wider and shorter compared with ball lock kegs. the height of pinlocks is an advantage. 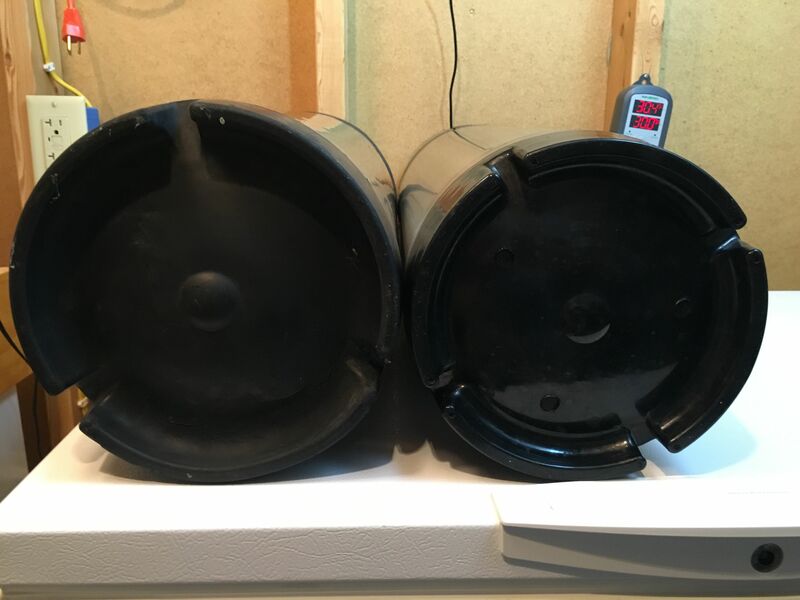 Being several inches shorter I can put 7x 5 gallon plus 2x 3 gallon keg in my keezer… without a collar. I started off with pin lock kegs, then had both for a while, which sucked, choose one or the other. 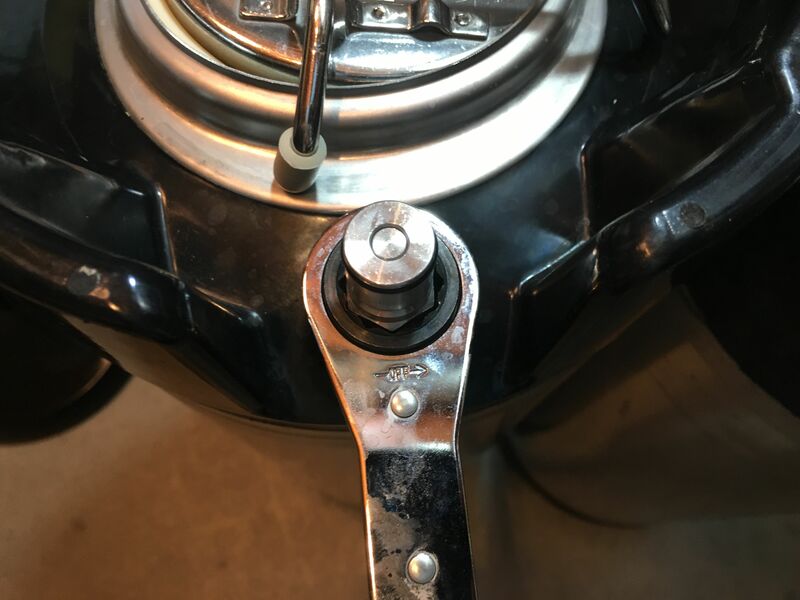 I chose ball lock over pin lock in the end because the pin locks kept popping off when jockeying my tapped kegs around, while the ball locks, once attached, stayed attached. There are some sellers out there selling west they call “low profile ball locks”. In reality, these are just converted pin lock kegs, so the same pin lock keg dimensions and lids are probably still applicable in these cases. I personally think the low profile designation is a bit shady, and probably just a way to try to try to charge a bit more than market for a converted pin lock keg, or at least get more takers.